Compiegne Leaf Chandelier (Small, 9 Lights), by Vaughan. In Distressed Green, Distressed Silver or Ivory. 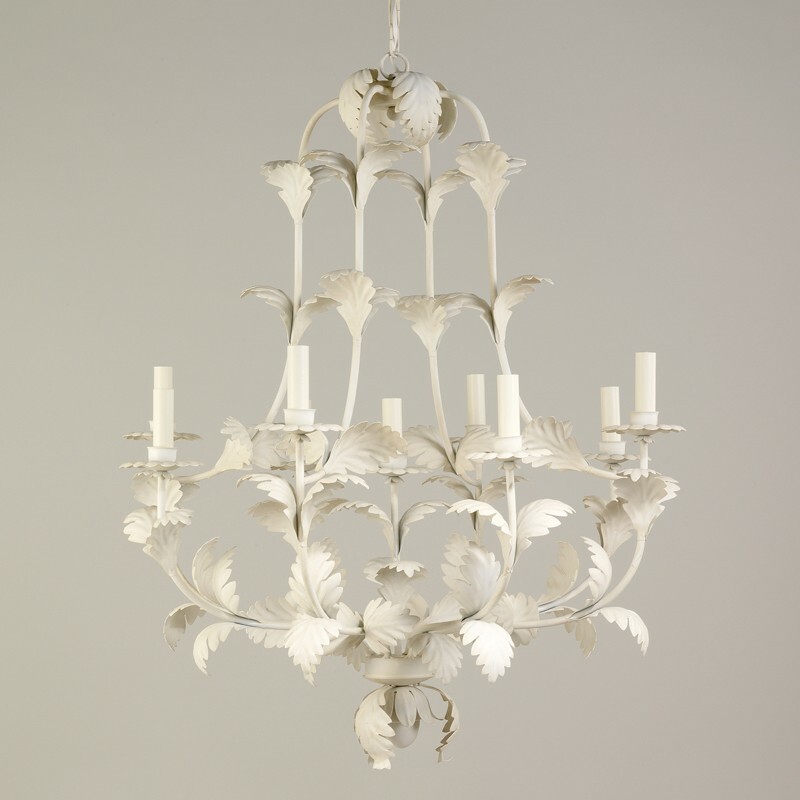 This wonderful chandelier looks stunning in light and airy spaces such as garden rooms, conservatories, hallways and kitchens. The hand painted finishes look wonderfully aged and comfortable, and have a visual 'depth' and richness that you don't get on mass produced fittings. 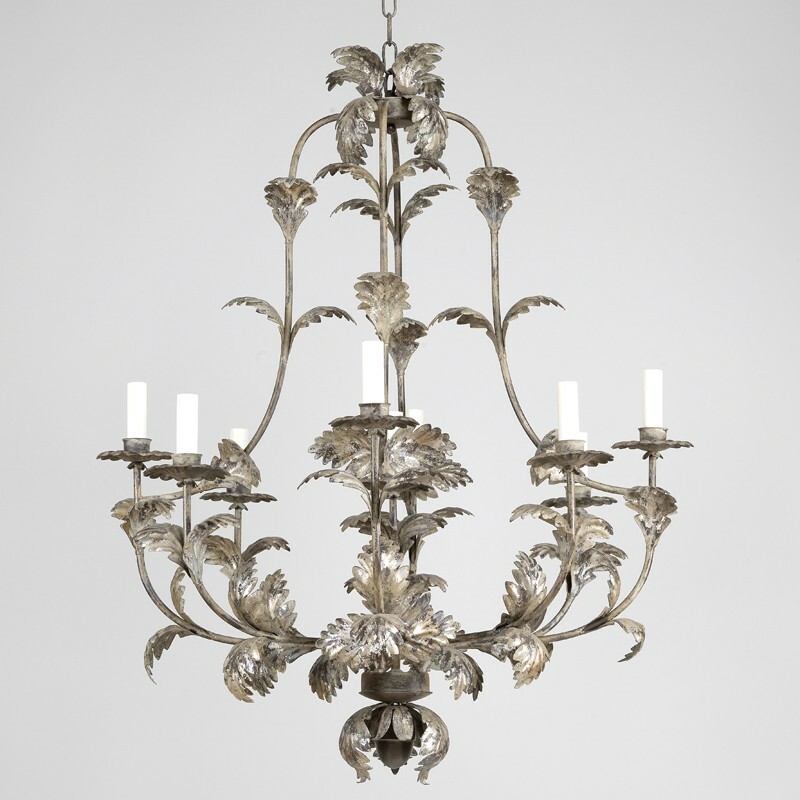 Compiegne Leaf Chandelier (Large - 21 Lights), by Vaughan. In Distressed Green or Ivory. 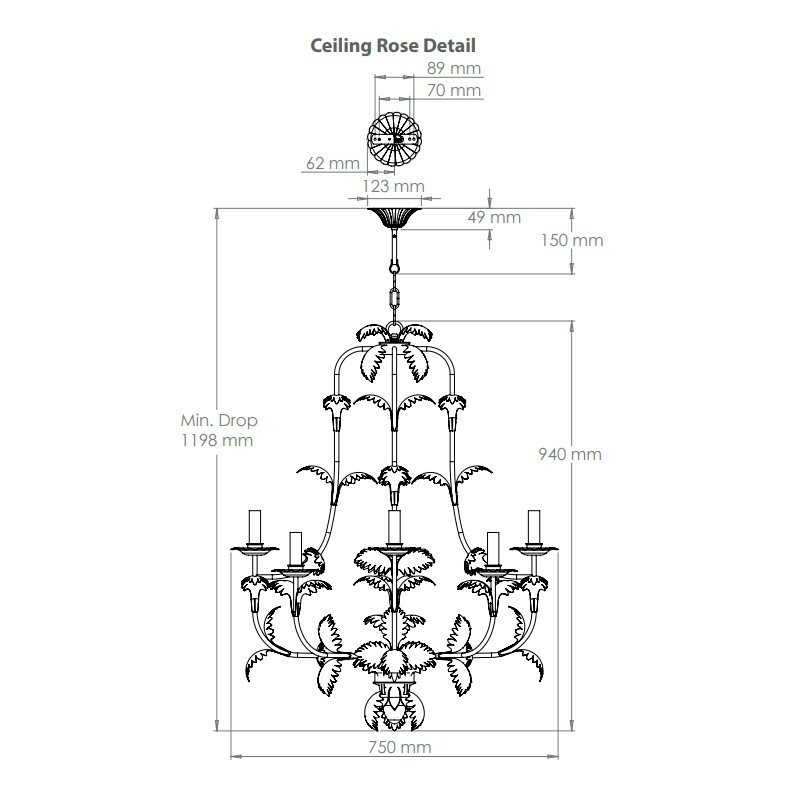 This substantial but delicate chandelier looks stunning in light and airy spaces such as garden rooms, conservatories, hallways and kitchens. The hand painted finishes look wonderfully aged and comfortable, and have a visual 'depth' and richness that you don't get on mass produced fittings. As these are special order items please allow c.16 weeks from order to delivery. Please note this item carries a large item shipping surcharge of £50 to mainland UK destinations. 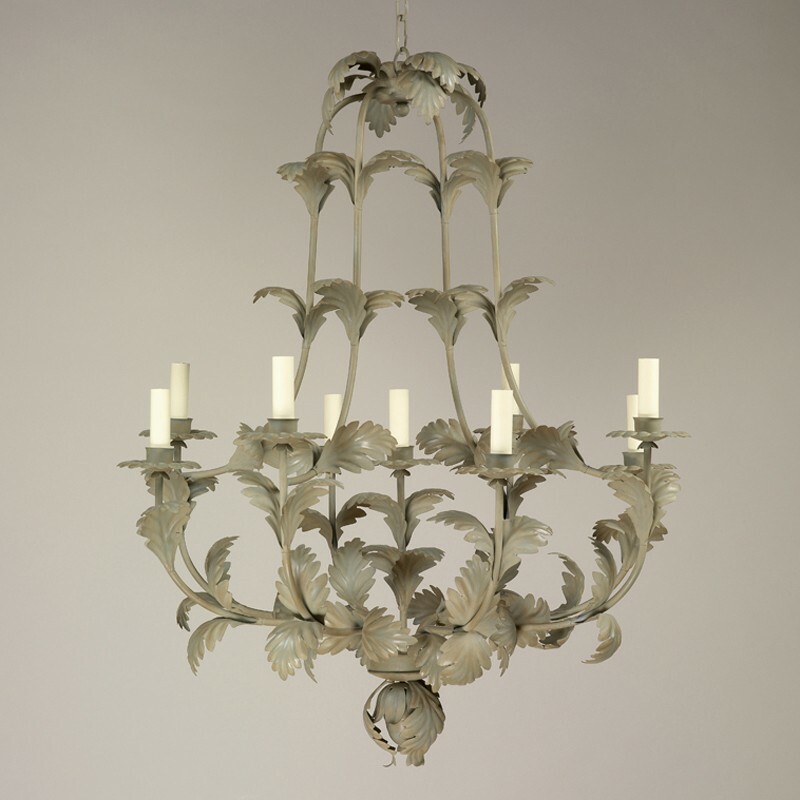 Compiegne Leaf Chandelier (Small, 9 Lights). Available in Green, Distressed Silver or Ivory. Standard Chain Length 1 metre, additional length can be ordered - please call us on order if you require more. Lamp Base E14. Max 40Watts. Lampshades sold separately. Please ensure a suitably secure fixing point is provided. See recommended fixing method diagrams in the Download section.